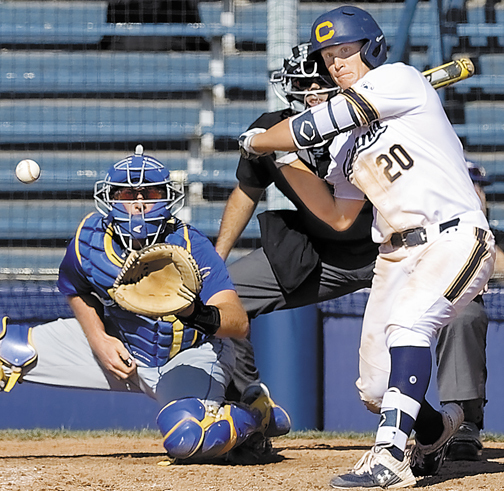 BERKELEY, Calif. — Andrew Vaughn is one of the elite hitters in the history of college baseball. The first baseman for California was hitting .529 (18-for-34) and belted 7 home runs with 18 RBI and walked 15 times in his first 10 games this season. In two games against St. Mary’s, he hit 2 home runs in each contest and compiled 9 RBI as he was named Collegiate Baseball’s National Player of The Week. One year ago during the 2018 season, he hit .402 with 23 doubles, 14 doubles and 63 RBI over 54 games. His .402 mark ranked third in Cal single-season history while his 23 home runs equaled the Bears’ single-season record set by Xavier Nady in 1999. 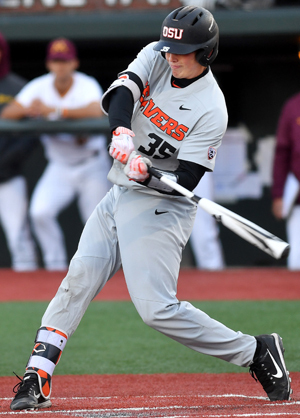 The 6-foot, 214-pound Vaughn, who hits from the right side, won the Golden Spikes Award last season and is expected to be one of the first picks in the 2019 MLB Draft next June. 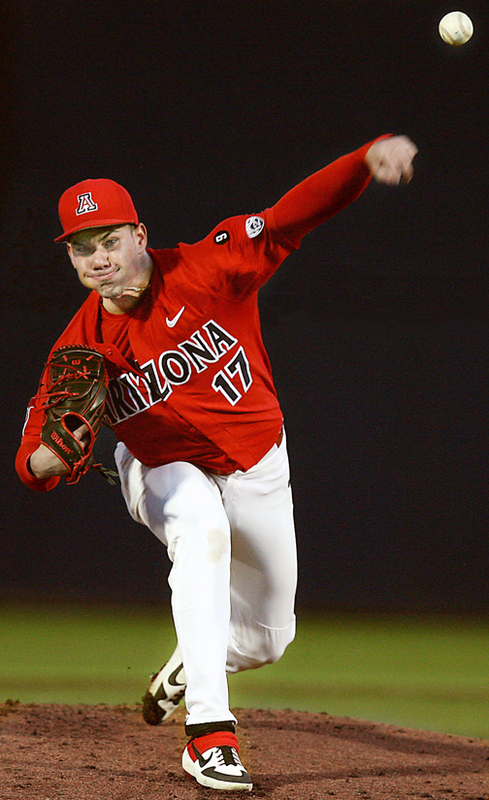 He was the Pac-12 Player of The Year last season and a Collegiate Baseball All-American. Vaughn is also a premier defender at first base as he earned 2018 Pac-12 All-Defensive team honors with a .992 fielding percentage (only 4 errors in 497 chances). Vaughn said he was 3-4 years old when he started learning how to hit from his father Toby. 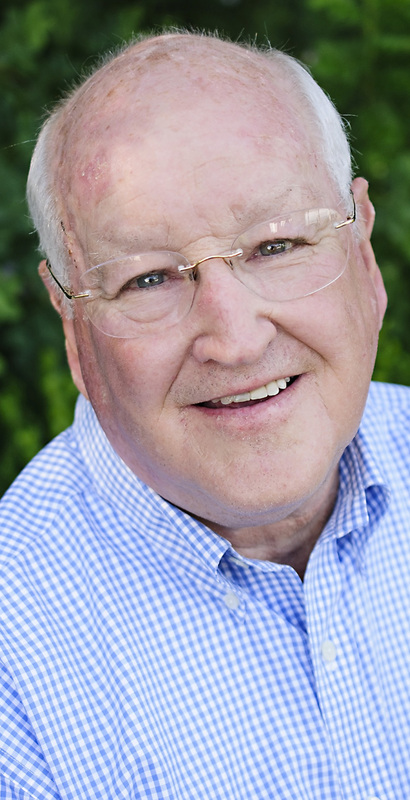 “I remember my dad coming home from work with his orange shirt and his jeans since he worked for the city of Cotati (California). “I couldn’t wait until he walked through the door at home (Santa Rosa, Calif.) so I could hit. He would flip balls to me as I hit with a small bat. Then I would hit balls off a tee. We would go at it for hours in the backyard. “I was involved in organized baseball at a very young age with underhand pitch and hit from the right side. My dad told me that if I ever hit two home runs in a game, I could spin around and hit from the left side. The home run barrier was only 100 feet away defined by cones. Vaughn said he never pursued being a switch hitter after that point because he did so well from the right side and felt comfortable. His go to person for hitting help has always been his dad Toby. “My dad knows my swing better than anybody, and he typically knows what I need to do get back on track. Whenever I am feeling in a funk or a little down, I call him up. He always knows what fine adjustments I should make. “I might be wrapping my bat a little too much or doing something else, and I wouldn’t necessarily feel it. He knows almost immediately what I need to do to fix the problem. He might even make a video and send it to me to visually show me. Vaughn says to see pitches well, you must have a plan. “I simply try to slow pitches down by picking out a seam and see it coming toward the strike zone. By doing that, it makes the ball appear to travel slower. It is a technique that has worked well for me. “Another thing I try to do is keep my eyes level and attempt to stay balanced. If I am balanced like this, it gives me more time to react instead of lunging at the ball which is not productive. “When I lunge at pitches, the speed of the ball picks up. If a pitcher throws a slider when you lunge at it, you might try to hit this pitch in the dirt. “Seeing the pitch as long as possible is absolutely crucial so I get the best recognition of the pitch coming. That helps with any pitch. If it is a 2-seam fastball, I can see those two seams or a pitch with one solid seam bearing down on the strike zone. Four-seam fastballs are more solid looking while sliders look like a little dot. The mental area of pitching is also important to Vaughn. “I take one pitch at a time and try not to focus on results. That is counterproductive in my way of thinking because hitting is filled with great moments but also a lot of failure. To read more of this article, purchase the March 22, 2019 edition of Collegiate Baseball or subscribe by CLICKING HERE. The rest of the article explains how pitchers try to get him out, why being a student of Barry Bonds helped his hitting and his approach to consistency. In addition, he explains why he hates the term “slump” and what he learned from Major League Manager Dusty Baker, plus more. TUCSON, Ariz. — Randy Labaut, along with his mom and dad, escaped from Cuba which took them on a dangerous 40-day journey to the United States in 2010 when he was just 13 years old. It involved 10,000 miles of travel and multiple stops in strange towns with complete strangers as guides in the quest to be in the USA. The plan to leave Cuba had its genesis many years prior as Raul and Ernestina Labaut, Randy’s parents, saved money for years with a goal putting aside $30,000 for this trip. This was extremely difficult to accomplish since Raul and Ernestina only made $20 a month each in this Communist nation on their jobs. Raul was a truck driver while Ernestina worked at a bank. They also earned additional money to supplement this meager income. Ultimately they saved $4,000 over many years. Their biggest asset was their car which they sold for $16,000. The other $10,000 was chipped in by an aunt and cousin who live in the United States. “I have great memories of Cuba as I grew up,” said Labaut, a lefthanded pitcher at the University of Arizona. “I lived in a city called Alquizar which is about 40 minutes from Havana. “We have a lot of family members in Cuba. Just prior to the trip, my parents’ property was changed over to a relative so the Cuban government wouldn’t take it from us once we left. “If the property you own is in your name and you leave the country for the USA, then the property is automatically taken by the government. However, if you transfer the property to a family member, they will not take it. “Cubans in general don’t make enough money. My father Raul and mom Ernestina would make $20 each a month, and they utilized all that for food. What your house looks like never mattered. What was important was having food on the table. “There were many things they did to make more money. If you work on a job, the most amount of money you typically earn in Cuba is $20 a month due to Communist rule. “What many people did for extra money was illegal. For example, if you work at a pharmacy, you have your normal job of filling prescriptions. But they also would sell medicine for extra income to people on the side. “My brother Raul, Jr. served in the military which everyone is forced to do when they turn 18. He would tell us horrible things that officers would do to the soldiers. At the age of 11, Randy entered a baseball academy in Cuba where he practiced five hours a day and went to school for two hours. “You would wake up and have breakfast at 7:30 a.m. and then go to practice from 9-2 where it’s all baseball. Then from 2-4, you went to school. 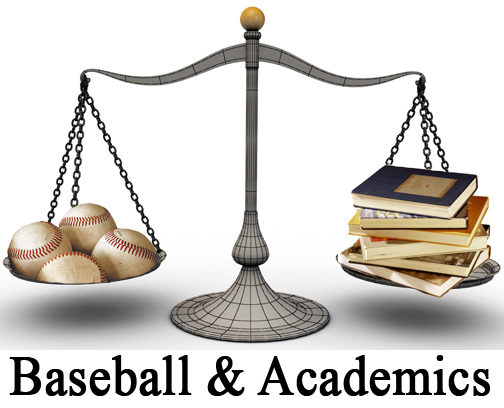 “As far as those daily 5-hour practice sessions, we did everything you can imagine in baseball, such as batting practice, infield and outfield ground balls and flies, scrimmages, run 30 minutes each day, plus much more. You became great at the fundamentals because of all this work. Labaut said that his mom and dad wanted to get out of Cuba so their family could have a better opportunity in life. “They wanted me to get an education and be able to pursue what I wanted in life. They knew that if we stayed in Cuba, I wouldn’t be able to advance in life. It was the same with my brother. “The crazy thing about Cuba is that if you go to a university in Cuba and study to be an engineer or other highly regarded job, there are times when you don’t even end up with that job when you graduate. “You might be driving a taxi because there is no engineering job available. That’s the beauty of being in the United States. You can literally study anything you want and can apply it to a real job of your choosing. On the night of April 11, 2010, Randy’s parents told their 13-year-old son to pack up his stuff because they were leaving Cuba the next morning. This completely caught him off guard. His only brother Raul, Jr. was serving in the Cuban military at the time and couldn’t leave. Randy had no idea that his mom and dad had orchestrated an elaborate plan for years that would take him and his parents to the United States. It would be the start of a harrowing 40-day journey over 10,000 miles to the United States. To read more of this article, purchase the March 8, 2019 edition of Collegiate Baseball or subscribe by CLICKING HERE. It delves into their remarkable journey that includes a 21-day stay in a Mexico jail because they were illegally in that country, plus much more. FORT LAUDERDALE, Fla. — Ryan Maya is one of those rare college baseball players who runs a business while going to college. 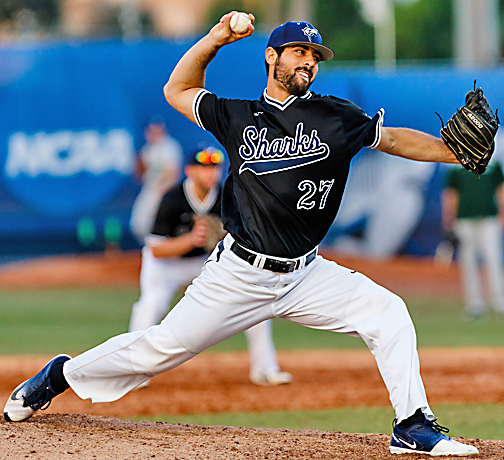 A righthanded pitcher for Nova Southeastern, he created his own online store called Fishing Kings Supply. After a slow start where he had to shut down his company after a few months, he restarted it and had robust six figure sales each of the last two years. This redshirt junior now has his days full with running a company, going to school and playing baseball. “My fishing supply business started in May of 2016,” said Maya, who posted a 2.25 ERA last season in 17 appearances with 32 strikeouts and 17 walks for the Sharks. “I was playing summer ball in Orlando, and my cousin was doing a similar business model and making pretty good money. “I have been an entrepreneur with little businesses here and there. So I asked him to explain how he sold products on the internet. He gave me the log-in information to read an on-line course on what he was doing which was extremely helpful with selling online. “I had a little bit of success that summer. But sales really started to dwindle when I went back to school that fall. So I had to shut down the internet company. “In the summer of 2017, I played summer ball but this time in mountains of New York. I didn’t have anything to do other than play baseball. Currently he carries 100 different products on his website at www.fishingkingsupply.com which can be used in all types of fishing scenarios that include lakes, streams and oceans. Maya said the majority of his sales come from braided fishing line. “I found a niche within fishing that is extremely popular with fishermen. Braided line is similar to monofilament line as it can have 5 pound test all the way up to 300 pound test. “However, braided fishing line is stronger, comes in different colors and lasts longer than monofilament line. You also can cast further with it. “By utilizing great marketing techniques, I have been able to produce a lot of sales through advertising and videos I create. Maya said he has quite a few customers from the state of Florida. “There isn’t one specific product that does well in Florida. But I also sell to people all across the country. “I’m not a millionaire yet, but I feel like I am on the way to achieving that goal. In 2017, I had a little over six figures in sales. Then last year, I was well above that number. To read more of this story, purchase the March 8, 2019 edition of Collegiate Baseball or subscribe by CLICKING HERE. He explains how he runs his business with no employees and how his business works on the internet. 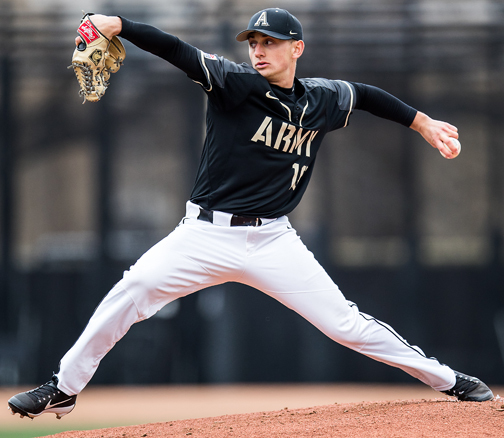 This superb righthanded pitcher tells how he had a 13.50 ERA during his freshman season and nearly stopped playing baseball after that. But he found success during that summer and has pitched well ever since. 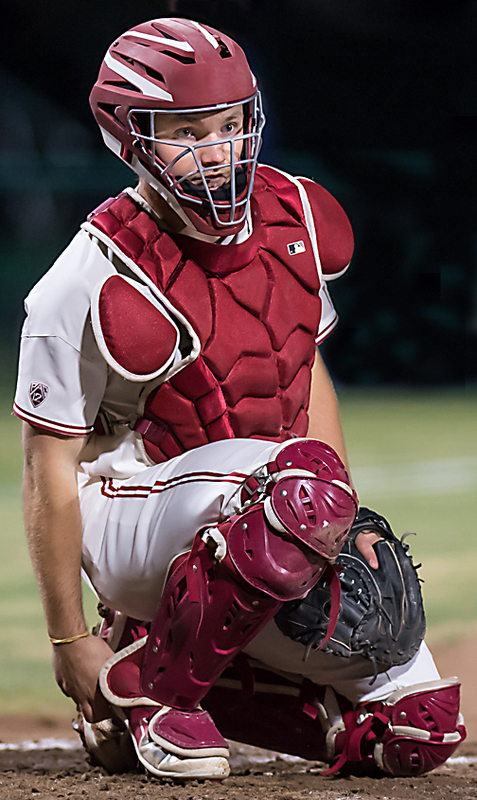 STANFORD, Calif. — Stanford’s Maverick Handley is one of the elite catchers in college baseball. He also is studying to be an orthopedic surgeon which requires a massive amount of academic study. Maverick helped the Cardinal achieve a 2.83 team ERA with a .218 opponent batting average last season. He threw out 17 of 26 runners trying to steal against him last season. This season, he hasn’t allowed a stolen base in two attempts with the Cardinal playing 15 games. What piqued his interest in becoming an orthopedic surgeon? “I broke my left ankle when I was playing basketball at Mullen High School (Lakewood, Colo.),” said Handley. Surgeons and medical personnel at this clinic work with the Denver Broncos, Colorado Rockies and the U.S. Ski team, among others. “I became fascinated with the entire process they were explaining to me, and I wanted to be an orthopedic surgeon at that point. It was a super scary time for me as anybody knows who goes through an injury like a this. The surgeons were reassuring and did everything in their power to make sure I recovered properly. “It took five months after surgery was performed until I could play sports again. My ankle came back 100 percent. While I don’t play basketball anymore, I catch all the time with pressure being on both ankles as I receive pitches. Maverick is majoring in biomechanical engineering and pre-med in the quest to be an orthopedic surgeon. “There are a lot of science and math classes involved. My typical week is a minimum two classes a day. I am in a bio-chemical class that meets four times a week. I also attend a math class that meets twice a week for two hours each time. “Typically I have another class with a lab section. I miss one or two practices a week because of my academic load. “I can be gone from 9:30 a.m. until 4:30 p.m. straight with classes. Last year I built a fermenter in one class. In bio-engineering, we genetically engineered cells to make a metal enhancer. 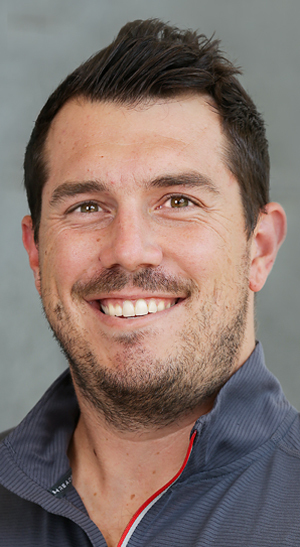 “All of these classes are super cool as you work with a lot of smart people. “The shortest lab is two hours, and the longest one can run five hours. For the 5-hour lab, they let us out to take mental breaks because it is so long. “But you have to take that amount of time with the classes I am involved with. “Last year, I took 19 units each quarter. I was loaded up with classes, and it was really tough. I felt my baseball suffered a bit as I wasn’t able to take as much time as I wanted to be the best player I could possibly be. He hit .229 with 9 doubles and 23 RBI. This season, he is second on the team with a .302 batting average, 4 doubles, 2 triples, 10 RBI and 12 runs scored. He has stolen 4 of 5 bases. Maverick said he never gets too overwhelmed as he balances baseball and biomechanical engineering as he prepares to enter Stanford Medical School down the road. “A lot of our players devote a great deal of time to baseball and struggle to find an identity outside of the game. Everybody knows that one day playing baseball will be over. “Baseball is a game of failure. If you don’t have something to be involved with outside of the game, you can be sucked into a real dark place. “As far as school, I am fortunate to say that academics have never really been that difficult for me. Probably not a lot of people say that. I have just enjoyed being part of the baseball program at Stanford and also being involved in biomechanical engineering as I gear up for Medical School to be an orthopedic surgeon. Maverick was asked if he would like to specialize in Tommy John surgery and shoulder surgery for baseball players and possibly be the next Dr. Frank Jobe or Dr. Jim Andrews. 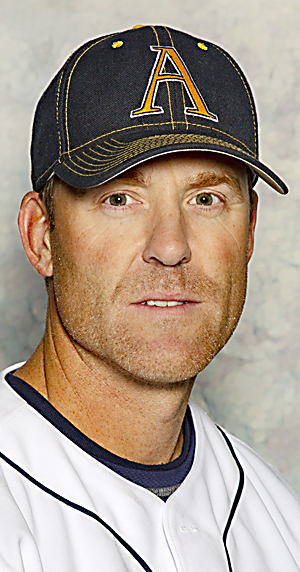 “Ideally, I make the Big Leagues as a catcher and have a 20-year career,” said Maverick. “Then I could retire and decide what I want to do after that. If my career path takes me to orthopedic surgery when my baseball career stops, I don’t know if I would want to specialize in any type of orthopedic surgery for baseball players or work with the overall population or even emergency medicine. To read more of this story, purchase the March 8, 2019 edition of Collegiate Baseball or subscribe by CLICKING HERE. Maverick explains what the cutting edge of medical research is with elbow and shoulder surgery for pitchers. He also delves into the art of catching and how he helps formulate plans to outwit opponent hitters and how he helps his pitchers be at their best during games. In addition, he explains how Rapsodo is used for the pitching staff and why tunneling is an important part of what Stanford pitchers utilize, plus more.